Cody Deaner's "Giv'er for Charity" is a fundraising campaign aimed at raising money for a variety of amazing Canadian charities. Cody Deaner partners with various charities who are in need of funds and helps them raise money selling merchandise at his professional wrestling events and speaking engagements. Cody then donates 100% of the proceeds to the charity of choice. 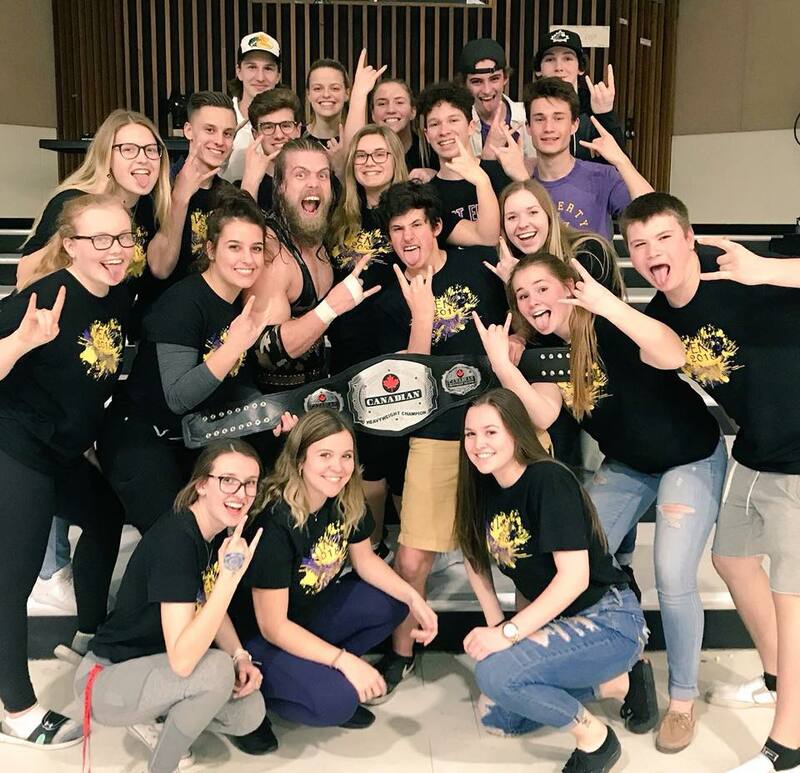 Since the inception of the "Giv'er for Charity" campaign, Cody Deaner and the professional wrestling community have raised thousands of dollars for numerous charities in Canada. ​Cody has a unique connection with his fanbase... a loyal following that Cody has grown from nearly two decades in the professional wrestling industry. Stories of this unique connection and heartfelt stories of lives being changed through Cody and the "Giv'er for Charity" campaign can be seen all over Cody's social media platforms (Twitter, Facebook, & Instagram). The "Giv'er for Charity" campaign is all about bringing awareness to amazing charities throughout Canada. It's about raising money for causes that directly benefit Canadians in need. And, it's about giving kids once in a lifetime experiences that will change their life forever. Upon Cody Deaner's initial announcement of the "Giv'er for Charity" campaign, his charitable efforts were endorsed by a fellow professional wrestler who has taken up numerous charitable causes during his illustrious career - the WWE legend - Mick Foley. To inquire about becoming a potential partner with Cody Deaner and his "Giv'er for Charity" campaign, simply email Cody at cody_deaner@hotmail.com. You will receive a response within 2 business days. You can also fill out the form below to contact Cody at the "Giv'er for Charity" campaign.